A new all-day, brasserie-style restaurant in the traditions of the grand French cafés has been opened in London’s Marylebone district by Belgian restaurateur Luc Van Oostende and his daughter, Julie. 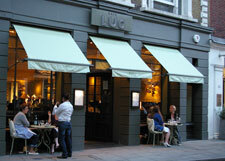 The two, who operate the Café Theatre restaurant in Ghent (in Belgium), brought in a top contracting team, including architects Stiff +Trevillion, main fit out contractors Tekne and sound system specialists the Sound Division Group, to create an environment in which chef David Collard could create an imaginative modern European menu. To create his eponymous restaurant, Luc took over the former Eat and Two Veg, situated at the chic Victorian building at 50 Marylebone High Street and he and his daughter spent £1.5m creating the new infrastructure, with soft jade interior. Stiff + Trevillion have matched a dark hardwood floor with waxed Celadon coloured walls, leather banquettes and replica chairs of the classic originals from Lido in Paris. 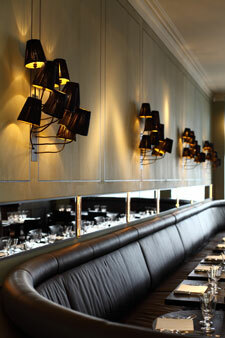 This is offset by a patinated copper bar with a backlit screen of hand blown glass globes. Café Luc’s all-day trading pattern begins at 7am, and so they need a vast range of music, supplied by 8 Track Music Solutions, to suit the different cycles running through until 11.30pm. This spacious, long rectangular room accommodates 20 at the bar and provides 100 restaurant covers. This requires the music — which ranges from soft jazz to a more rhythmic, vibrant soundscape — to be played out through eight evenly distributed JBL Control 24CM flush-mounted 2-way ceiling speakers. These are powered by Crown XLS-202 amplification, processed through a dbx 215 graphic equaliser and distributed via the new Cloud CX-261 zoner, which features a front panel iPod Dock connection point; a Cloud RSL-6 remote panel also facilitates local source and volume selection. For Luc van Oostende, who has run his Ghent restaurant for the past 15 years, and was recently associated with the nearby bakery, Le Pain Quotidien in the Marylebone High Street, this is the fulfillment of a dream. 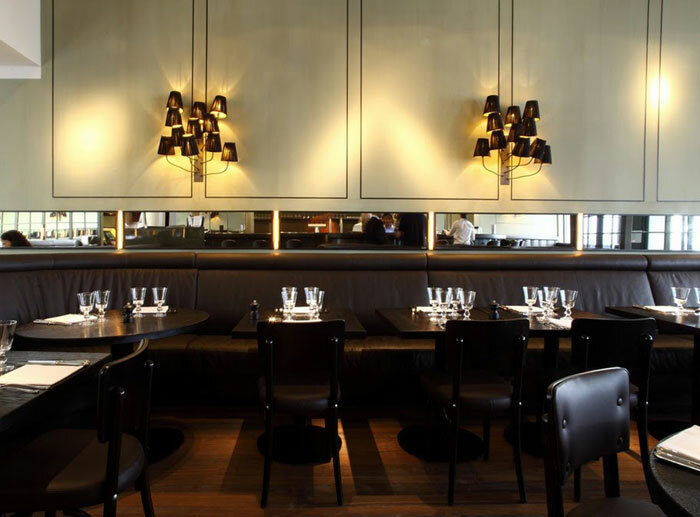 Julie van Oostende says that the music easily matches the high environmental standard set throughout the restaurant and contributes significantly to the atmosphere. Sound Division MD, David Graham, adds, "The quality of background music in Café Luc shows what can be achieved on a small budget using a minimal amount of top grade equipment. 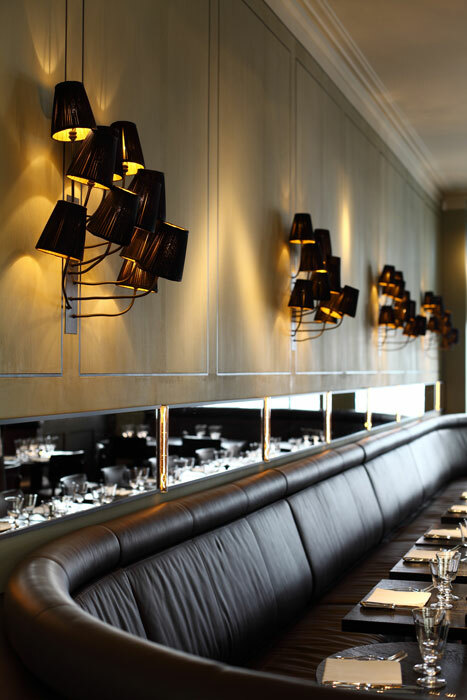 This has been a very straightforward job to carry out and forms a very welcome addition to the growing portfolio of upmarket West End restaurant and bars that have benefited from Sound Division’s experience and technical expertise."